Fabricant de rampes en acier inoxydable et d'escaliers à limon central. Manufacturer of stainless steel ramps and staircases with central stringer. Compagnie qui se spécialise dans l'escalier et le plancher de bois franc. Expertise en rénovation intérieur depuis 15 ans. Vaste salle d'exposition. Services d'installation. Service de design intérieur. Soumission Gratuite. GGSTAIR is one of the leading manufacturers of stairs. The company has developed proprietary manufacturing processes that achieve a level of quality and exceptional accuracy. The assembly, painting, staining and varnishing are done at the factory, ensuring a flawless product. Steel Stair Stringers providers for all of your house's projects. Build stairs in one hour very easily with this rust-proof product. CODE/OSHA compliant. Lifetime warranty. Steps not included. Whether you are an individual or someone from the industry, Wood Mirabel is for you in regards to your projects for designing floors or stairs. More than suppliers, we produce on site, at our Boucherville plant, all the stair components you need! The stair parts, handrails, stairs and curves, the wooden bars and more, are available by catalog or custom manufacturing and custom wood by our experts. All angles and architectural details that require your projects wood floors or staircases are made without creative limits. Design Our team of professionals uses powerful stations drawing for the design of your architectural projects in wood: he s 'act of stairs or custom components for the cabinet. No matter the style, angles, shapes and architectural details that you require, our wood artists will push their creative limits to satisfy your demands. We use unique technology in Quebec that allows us to manufacture any type of flooring (standard or non-standard). Finishing Workshop and plant wooden coloring our Boucherville plant has a laboratory as well as a finishing shop coloration, to proceed to the finishing plant wooden components and thus obtain top quality results. Over the years, we have developed our techniques and perfect finishing and wood coloring. Mastering these proprietary technologies is an art we have, and helps obtain accurate color wood, and in a host of details from the depth of the wood, the opacity or gloss of the latter . Importer and wholesaler of exotic wood In addition to importing the most popular species of North America, Wood Mirabel also important to anywhere else in the world. Brazilian woods, the African species, those of Europe, Asia or Autralia, are accessible for the realization of your most original projects. Floors and stairs "turnkey", their design at the i nstallation Bois Mirabel is a strong company with a team where everyone combines undeniable expertise in its field. Our experts stairs and floors are empowered to detect potential problems of structure, even before performing an installation. Our installers proceed carefully for each step of the installation of your floor or your stairs, while respecting precisely our time schedule through an ERP system, developed exclusively for us. This real-time monitoring tool is a major asset for our company because it allows us to ensure the accuracy and precision of our orders and our facilities. Euro Metalart is a family operated business based in Montreal, Quebec. From concept and design to finished product, our family’s hands-on approach and personal commitment to each client, insures top quality results, reliability and on time delivery. 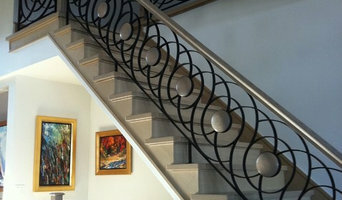 We specialize in custom designed and high end metal work. 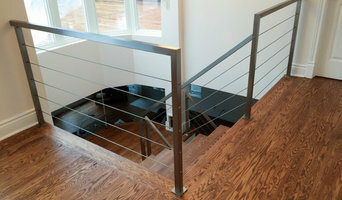 Whether you are looking for traditional or contemporary designs, for stairs, railings, doors, grills, furniture or any other object, whether you prefer a fusion between steel and wood or stainless steel and glass, look no further; we work with specialized professionals to supply nothing but the best. En affaire depuis 1985, nous sommes une entreprise familiale au service des constructeurs de maisons. Nous-même licensé entrepreneur général, nous assurons la bonne gestion des projets. De plus, nous avons une équipe au service des particuliers désireux de rafraîchir leur demeure. N'hésitez pas à communiquer avec nous afin d'avoir plus d'informations: info@escalierclassique.com. Industry leader for over 40 years in manufacturing of railings either for new construction or renovations projects. We custom build in wood, iron, metal or glass. either by artisinal methods or CNC (digital components). 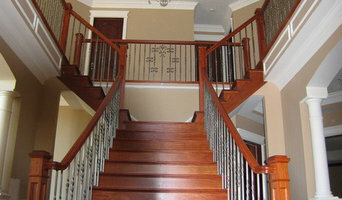 Over the past 20 years, we assist our clients in their choices of staircases, railings and architectural woodwork. Let the specialists of our team inspire you and help you select the styles you want. Pioneers of factory finish, Centre de l'escalier has a team of colorists who will develop the color of your choice according to the wood species chosen and to match your floor, a piece of furniture or simply to suit your tastes. We are manufacturers of modern staircases and guardrails for indoor or outdoor applications.